At least the FIA is consistent. It has made it clear that the rules and conventions of F1 are meaningless and will be interpreted and changed as and when the FIA see fit to do so. The decision of the FIA Appeal Court to reject McLaren's case as inadmissible was totally predictable in view of the governing body's previous decisions. Precedent has no weight with their courts; they are there merely to rubber stamp the increasingly absurd decisions of FIA officials. The fact that this proves the whole organization to be even more corrupt than we ever suspected apparently means nothing to anyone within the FIA. Prove that an FIA official has deliberately misled a team regarding the rules and has then falsified evidence and the Court ignores you - it will do as instructed by its master. I admit quite freely that I have suspected the FIA of favoring Ferrari in its decisions for years. But the blatancy with which it happens these days amazes even me. There is no shame in this organization - it has all of the power, and uses and abuses it openly and cynically. It is truly the creation of its president, a man who does not argue for any of his decisions through logic but insults the intelligence and standing of anyone who disagrees with him. I suppose I should not be surprised. Well, at least there can be no doubt now. All the teams know that the FIA will manipulate the championships to their own ends and they will continue to work with that. But the fans also know it now and there is no imperative upon them to keep watching. They probably will but will also understand that the championships are so devalued as to be worthless. As can be seen from the comments to my previous post, many enthusiasts are merely waiting for the day that Mosley goes and their only fear is that he will have destroyed the sport before that day comes. The sad thing is that it is not only the FIA that has been brought into disrepute. Association with so corrupt an organization drags the mighty name of Ferrari down too and we can no longer regard any of their recent championships with anything other than contempt. 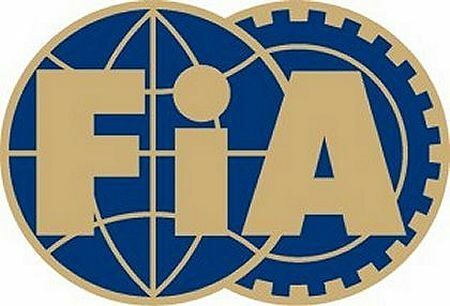 It does not matter whether the machinations of the FIA have been effective in giving them championships or not; the team's willingness to benefit from such practices shows that they have departed all decency and honor. F1 itself suffers, although to a lesser extent, I think. The racing machines produced by the teams are still marvels of technique and design, fabulous creatures that delight the eye and ear of any racing enthusiast. The drivers too remain the best that feeder series can provide, experts in their field and masters of car control. Each team is a well-oiled machine that functions at the limit of human excellence. That is what we will continue to watch - but we will do it now with our faces turned resolutely away from the self-serving toadies that run the sport. I never expected to be writing words like these when I began blogging F1 over two years ago. In many ways, I was an innocent when I started, believing that F1 remained a sport in spite of the huge commercial and political pressures upon it. But the research and study that writing demands has revealed the sport to be in the grip of men who care nothing for fair competition and who seek only to further their own wealth and power. I continue to write but now with a bitter taste in my mouth as I think of how this greatest of competitions is being dragged down into the mire. It is a matter of a mere seven points on the face of it. But in reality, it is one more step towards the death of F1. i think the very nature of fan-dom requires a certain idealism, so you're not alone in your disgust in the way this sport is going. still, it could have been worse. it is not entirely unlike the fia to impose a further penalty just because they can. to be honest i thought there was a real probability of that happening. but, with the sum of all the issues over the last couple of years, it must be apparent to most people inside and outside this sport what's going on. i think the next year is going to be very interesting. given the current financial atmosphere i think there are going to be some shifts coming and if the fia continue down the road they're determined to run i'm afraid you may be right. f1 as we know it may be on a downward spiral. somehow i can't see either max or bernie forking over cash to str or anyone else just to get a grid filled, can you? and if the fia is going to continue to make stupid decisions regarding the rules and penalties and developements then who the heck is going to want to stay in the series (besides ferrari) and who is going to want to cough up for a multimillion dollar race contract that won't draw a crowd because there are fewer than 10 teams on the grid? Seriously, this case does underline the complete unsuitability of the FIA to govern any significant endeavour. We need people in charge who are capable of writing clear regulations, applying them consistently and gently guiding the various strands of the FIA's endeavours in wise directions. Such people do exist within the FIA structure already, and occasionally even reach the attention of the press periphery. It may be a while before they can take power and undo the damage their predecessors have caused. One of the first items on their agenda (if they don't end up doing it to gain power in the first place) may well be to prosecute the current leadership with bringing the sport into disrepute. Still, it could be worse. If this lot were in charge of the US government, I think the entire world economy would have collapsed by now (I'm sure they could have found a way round the two-term restriction). One should never expect a thief to own up to his crime. By nature he cares nothing of right or wrong, only of himself. I am not in the least bit surprised by this decision. I imagine it was initially generated at the top of the ladder so why would those at the top reverse it? In my opinion people who must hide their private lives are not made of the right stuff to be passing judgement on anyone or anything. This is indeed the darkest age of F1. I hope for a quick bankruptcy so the house can be cleaned. Perhaps Shakespeare said it best; "let's kill them all with a smile, so that we kind start again with good chromosomes". When was the last time you read that a witness in court was allowed to rush off because they have work to do/a plane to catch? Somehow, I can't see a real judge allowing that. It does illustrate the amateurish nature of these FIA Courts and I guess we should expect nothing but nonsense to come out of their hearings. My optimism always makes me hope that this time a clerical error has occurred and a judge worth his salt been chosen. Amazingly, criminals are often convicted thanks to their own confessions. It must be the especially hardened ones that brazen it out - like the FIA. I also agree that the Spa penalty was orchestrated from on high and that we were being extremely optimistic in hoping for an equitable outsome to the hearing therefore. So it appears the Appeal was rejected because Ferrari questioned its admissability,So instead of helping F1 get some credability back by letting the highest driving court in the land scrutinize the penalty,Ferrari have dragged it deeper into the dirt,if Lewis was guilty what have Ferrari got to worry about?.And after reading point 27 of the ICA decision I can see why Lawyers need shooting,but as Max would say"your all just to stupid to understand"perhaps He`s right,because we continue to watch this ever decreasing excuse for a Sport. I'm just totally depressed. The FIA has no respect for the fans, or anyone besides themselves (read Max). It's like the FIA has personally slapped me in the face and then thrown cold water on me. I'm still a fan, but my enthusiasim has waned greatly. Clive, my, my, how dramatic. After you pick yourself up from your swoon, you'll realize - at least I hope you will - that F1 is not going to die, or even suffer a little bit, from this latest teacup storm. Hamilton managed to squeeze a bit of an advantage from the unwritten overtake-by-cutting-a-chicane-and-give-back-the-place rule, and he received a time penalty because a drive-through was not practicable at that late stage of the race. In any event the stewards thought he did, and that's their job and their right. If they had done nothing that would have been fair, too. It was, as they say, a judgment call and the stewards called it. Lewis was not stripped of the race win; 25 seconds was added to his elapsed race time. Were he 26 seconds ahead of Massa he would still have won. Most of the drivers thought Lewis had pulled a fasty, as do most non-McLaren fans. At the very worst, all McLaren fans, and a few anti-Ferrari bloggers, will desert F1. To them, were that unlikely outcome to happen, I say good riddance and goodbye; F1 won’t even notice they left. At least there are some positives we can take out of this shambles.After weighing up the evidence and not liking the outcome they decide not to give a verdict.Now nobody can say that the FIA are`nt dancing to a Ferrari tune and vice versa,.And if Lewis wins the WDC this season it shall be oh soooooo sweet. Green Flag, Hamilton was forced onto the grass by Raikkonen's driving (whether Raikkonen's driving was itself admissible is not the point here, but it does have an effect on Hamilton's options) and in any case, the "consensus" about dealing with advantage didn't exist. Therefore no judgment involving advantage was legitimate. Leaving the track was technically against the regulations, but nearly everyone left the track at some point and nobody else was even investigated for it. Which indicates a certain disregard for consistency. McLaren were told twice by Charlie Whiting in that recorded-yet-disputed conversation that Hamilton's move was OK, meaning they could not have reasonably done anything else about the incident (remember this is supposed to be a sport, not a lottery). The stewards are supposed to follow the regulations when making decisions, and it appears they did not do so. Most of the people I've seen on the internet vehemently disagreed with the penalty in the first place, but apart from Green Flag, I've yet to see anyone (even hardened tifosi) agree with the FIA's handling of the case. The drivers couldn't oppose the decision even if they wanted to because of the FIA's climate of fear. It's not so much who's being driven away (most of the ones who would have left through FIA incompetency left some time ago) but the ones being put off getting an interest that's the major problem. The incremental impression given is that the FIA are so bad at their jobs that F1 is not a sport but a mess. In the long run, decisions like this harm everyone, including those that supposedly benefit from it in the short term. Is an honest decision on logical grounds too much to ask for? So I take it Green Flag you see no problem with Charlie Whiting being proven to be a liar while trying to prove there was no precedent. You don't have a problem that he was shown to have lied and the court took no action to investigate his behaviour? You think it is OK for him to be officiating this weekend when he has lied in the ICA to try and prove his point? You don't have a problem that Luca Baldisseri 'proved' to his own satisfaction that it was impossible for a McLaren to out-accelerate a Ferrari and only when he was shown the McLaren data would he back down? We all could see that at that point of the race Lewis was much faster in every aspect than both Ferraris but Ferrai claimed to have data that proved the opposite. Does that seem OK to you? Is it OK with you that Alan Donnelly who is not a steward conducted the driver interviews while the appointed stewards sat in silence? Is it OK that the penalty notice was signed by three stewards who had no active part in the driver interviews? You cannot possibly believe that everything that happened in Paris was OK.
What is sad is that this probably won't stop here. The FIA will never let Hamilton be within 6 points of Massa at the end of the season so they will have to do more tampering if this becomes a reality. It is difficult to suffer Ferrari fundamentalists quietly. Their Hatfield / McCoy (McLaren) mentality is on a par with creationism. Green Flag: We have talked about the actual events on track before and will obviously never agree on that. But how you can happily accept Charlie Whiting's part in the thing, I really do not understand. Were it to be proved in a real court case that one side had fabricated evidence, the judge would immediately find for the other side and penalize the offenders. In contrast, the FIA Court ignores the fact that Whiting lied in order to bolster the FIA case for dismissal and finds for the offenders. That is what is cause for concern because it reveals the FIA and their courts to be corrupt, inept and incapable of understanding the most basic tenets of law. It's as simple as that and has nothing to do with the Ferrari/McLaren debate. Gusto again: Brilliant letter, has definitely cheered me up. I love it! Nick: As Ferrari fundamentalists go, Green Flag is fairer than most. There are others out there who would not care if all the cars except Ferraris were banned from the races. I always enjoy Green Flag's comments because he gives me an argument, rather than the silly insults so common on other sites. My pleasure Clive,but I`am a bit concerned about the parcel Ferrari sent me as a reply to the e-mail I sent them,I`ve not unwrapped it yet,but its about the size of a dustbin and resembles the pointy end of a horse. I am appalled that this decision has been mad in the way it has. The fact that charlie whiting told maclaren everything was ok (when they could have corrected an error) only to then initiate the investigation (when maclaren can no longer correct an error) and then to blatantly lie in order to try (and succeed) in preventing the appeal from going ahead, while also undermining and official steward in the process is quite unbelievable. If it was any other sport I would think I was dreaming, but unfortunaltey this is F1 and the nightmare is reality. I am also still at a loss as to why Ferrari were allowed to be in the hearing to cross examine maclaren. All I know is that it was requested by Ferrari and that it was allowed in accordance to article 21 of the appeals rules. No idea what that rule actually states. Keep getting `what if` scenarios going through my mind.Cars 1&2 belong to one team,Cars 3&4 another,and there running in that order,Car 3 cuts chicane and ends up in front of Car 2,now can Car 2 procede at a Snails pace,thus helping Car 1,when is the cut off when Car 3 can assume Car 2 is retiring from the Race,what if Car 2 suddenly recovers from His Mechanical problem,what is Car 4 allowed to do when approaching Cars 2&3 doing 30mph down the back straight,when is`after the next corner`is it the Apex,if so what about multiple Apex corners like turn 8 in Turkey,or the start of the straight,is it one or two Car length`s in to the straight,does the small area of straight in a set of esses come into it,or am I just going mad. Wasn't going to post anything on this because to be quite honest it has left a bad taste in my mouth. I came back to watching F1 (I am a die-hard rally fan) simply because the championship was so much more exciting post-Schumacher and I also needed it for research for school. The plain truth is that I have never seen such inconsistency in my life and though I am a McL fan I try not to join the Ferrari FIA conspiracy but to ignore the possibility is to be stupid at least. To Green Flag its not a matter of McLaren fans leaving the sport (although I think most fans are so hooked they are going nowhere) but if you read the blogs over the last few weeks you would have realised that they were supporters of all teams including Ferrari who were fed up with the inconsistency and apparent corruption that exists within the FIA especally at the top. It is the only place where a president can try to justify supporting one team more than the other. It is the only court of law which does not abide by its own laws. Most fans really are concerned about the image of the sport. I have no problem with the FIA issuing a penalty but I have a big issue when that penalty is issued without following regs and then clarfying the regs, or throwing out an appeal when it centers around one of the most controversial decisions in history. The governing body must be consistent and transparent in all matters. At this point I wonder if I am a fan of F1, the racing is mediocre at best and the decisions are a farce but I continue to watch it because it is still the pinnacle of racing technology and once in a while we get special races like Spa or underdog triumphs like Monza. Most importantly fans following most teams can still have good discussions on good blogs and gang up on the FIA :) without worrying abut being whipped even if we are called stupid by the president. Lee: Apparently, it was Ferrari who queried McLaren's right to appeal and that was why their lawyers participated in the hearing. Personally, I think that was a PR blunder by Ferrari since it casts them as the originators of the whole thing - which they have denied from the beginning. They did not protest the incident and Domenicali was very non-committal when asked his views on the penalty. If they had left it at that, allowing the appeal process to take its course, they would not now be regarded as puppet masters to the FIA in this particular case, at least. Gusto: You are quite right that the "clarification" to the rule is a complete nonsense. Any number of scenarios can be imagined in which the race is turned into a farce by such a rule. But this is what happens when you bend the rules to suit a bad judgement already made. Corey: I think most F1 fans have a bad taste in their mouths today and are wondering why they continue to watch a sport governed so badly. Perhaps it's our love of the racing itself that makes us return time after time (and it has been good in recent years). I have been watching the sport for nearly fifty years now and it would seem a pity to throw all that away because of a megalomaniac FIA president and his minions. Surely he cannot last forever. The problem with the"pinnacle of technology" is, as time goes on the pinnacle becomes so sharp that nobody sees just what is going on. Millions are spent designing parts to make it difficult for competitors to pass. When or if this is not the direct purpose, it is the side effect. The rules have been working at cross purposes to the sport for years now. The issue of tires shedding rubber to make anything but a single line through a corner usable should have been seen to years ago. The same goes for the aerodynamic devices. How long until the car is surfaced in some facsimile of shark skin at some absorbatant cost? To have the rules dictated by pompous fools and untrustworthy stuffed shirts with alternate agendas is one of the greatest problems in F1 today. If you want the pinnacle of technology, bring the engines down to 1 liter or make them 4cyl but make inforcable rules that create a margin for ingenuity to excel without going over the top so as to drop the decisions in the hands of lawyers and bureaucrats. Rules must be measurable and be able to be seen and understood by the fans. Get rid of all the aero stuff but the front and rear wings. The teams need all the manpower because they've got their fingers in far too many pies. Force them to concentrate their efforts in fewer domains and things will no doubt get interesting again and costs will drop. (provided the crooks are weeded out first). I agree, Nick, and wish that it would happen (especially your last sentence). I would give the engineers 1.5 liters, however, and let them decide the configuration of cylinders for themselves. Then we would have some interesting solutions! A proper ground effects car would probably make it easier to pass. Many G.E. cars of the 80s ran some races without front wings, so they lost little aero in another car's wake. John Watson in a McLaren started Long Beach 22nd or 23rd one year and won not with brilliant pit strategy, pit stops were rare in those days, or through attrition but by a brilliant drive, passing cars lap after lap until he got to the front...in a ground effects car. You want to see really beautiful F1 machinery, look at a Lotus 79, Williams FW08, or McLaren MP4-4. Of course my personal favorite is the Lotus 33, no aero at all! !